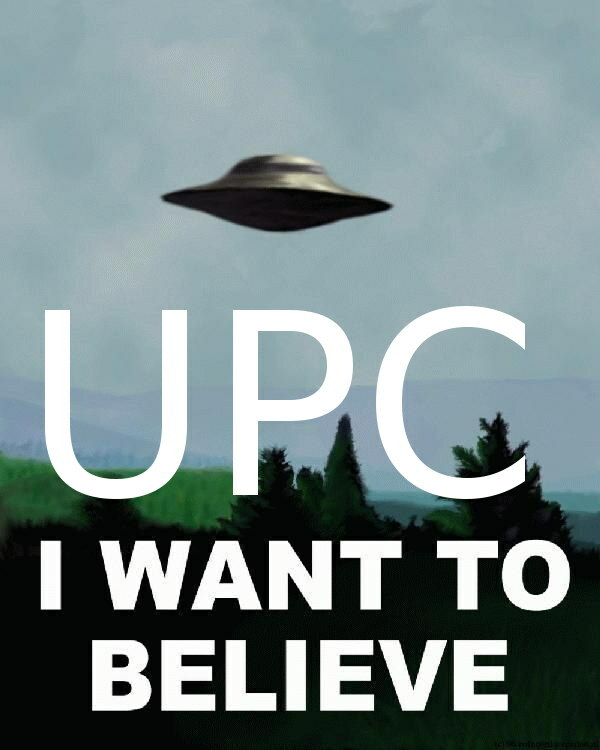 U.P.C. is the new U.F.O. Now it’s Germany’s turn. That’s like the heart of this monster, not just the EPO’s but also the UPC’s. There are probably veiled reasons behind Maas refusing to enforce the law against Team Battistelli. With the UPC, unlike with the US patent system (which includes the notorious state of Texas, capital of litigation), there is federalism and fragmentation. Countries like the UK, Poland, and Spain (very large countries) still seem far from joining or being assimilated to the Borg, so to speak. Don’t believe the fake news and the hype from Team Battistelli and Team UPC. They have a long track record of lying and they have already shouted “Wolf!” more than thrice. “It’s not only expensive but it also corrupts European media and harms its reputation (e.g. fake news, which we have just learned is spreading to Spanish media).”So, what’s the deal with Germany? Not much. Team UPC, Bristows for example, toes the party line. A day ago, on a Saturday, Richard Pinckney said that “German parliament passes two bills required for UPC ratification” and he hopes to give the impression that Germany’s ratification is now imminent and inevitable. But it’s not. Germany won’t ratify as long as the UK does not (and it cannot!). What do they even mean by green light? Something like Chinese government officials giving the green light for Siemens to relocate to China. It doesn’t mean it will actually happen. Well, how often does one vote on UPC? Only once. Alexander Esslinger‏ (a.k.a. “patently German”) wrote: “This news will probably dampen rumors about Germany not ratifying #UPC due to some open questions in connection with Brexit” (not really, unless you are Esslinger‏, in which case the UPC is desirable to you). “What do they even mean by green light? Something like Chinese government officials giving the green light for Siemens to relocate to China. It doesn’t mean it will actually happen.”It does recognise that Germany depends on what happens in the UK. Time is running out for Team UPC (EU-wide) because of Article 50. They know what it would mean to the whole scheme when invoked in as little as weeks from now, so they resort to dirty deeds (like those covered here earlier this evening). Here comes another UPC proponent, this one also from IP Kat, which never criticises the UPC and only ever promotes it (as recently as a week ago). So much for a ‘balanced’ blog, only ever sobbing if there’s a setback or lack of progress for the UPC. It increasingly seems like Johnson does not care about legal aspects, either, as he cannot ratify the UPC and pray that it will miraculously survive after Brexit (or that they can ‘patch’ the UPC ‘on the go’ so as to ‘retrofit’ it to an untenable ratification). Might Battistelli pull that famous trick that involves money/gifts? “Here comes another UPC proponent, this one also from IP Kat, which never criticises the UPC and only ever promotes it (as recently as a week ago).”The whole thing is insane! How does the post-Brexit UK feel about such ‘freedom’ and ‘independence’ from the EU? This just serves to remind everyone out there how crazy this whole thing is. This would not only bring software patents to the UK from the back door (including litigation and enforcement from courts that don’t speak English!). It would also invite patent trolls from other countries and continents to the UK. All those Chinese companies with sloppily-granted EPs can do a lot of damage here if the UPC passes (not that it’s expected to happen, not in the UK anyway). That’s obvious. One has to be seriously misinformed and deliberately in denial about it to say the above. We covered this subject many times before, citing various luminaries and experts to support that assertion. “The whole thing is insane!”Imagine what would happen if, instead of national courts (tied to NPOs like UK-IPO), the above-the-law EPO with its taste/savour for software patents gained prominence here. Imagine what would happen if the UPC ever gained a political foothold. Disaster!